Apple may have meant for the iPhone XR to be the new introductory iPhone, but it has proven itself to be a real contender for sales against its sister releases in the X series since hitting the market in October. With its substantial size, top of the line camera, lightweight design and range of colors to express buyers’ personal style, the XR may prove to be a bigger hit with users than Apple ever thought possible. Learn more about why Apple users are raving about the iPhone XR and how it stacks up to its X series co-releases. The edge-to-edge 6.1-inch LCD display screen on the iPhone XR is made of the strongest front glass ever on an iPhone thanks to a specially formulated Gorilla Glass made by Corning. With up to 256GB of internal storage and a 12-megapixel camera with 5X digital zoom and three portrait lighting effects, the XR is a delight for users in the selfie age. And its brand-designed aerospace-grade aluminum case allows it to weight slightly less than its sister models in the X series while offering more colors than any other model in the series or before. Dazzling in coral, blue, white, yellow, black, and project red, the XR has a color to suit every user’s taste. The iPhone XS features a slightly smaller screen size, coming in at 5.8-inch, but offers an OLED display featuring the same Gorilla Glass as the XR model. The XS ups the wow factor for users with a dual 12-megapixel camera with 10X digital zoom that offers five portrait lighting effects. Users of the XS are more limited in their choice of case colors. The stainless-steel body of the XS is offered in gold, silver, and space grey. The XS Max boasts an impressive 6.5-inch OLED display and stainless-steel body in the same colors as the XS. Featuring the same dual 12-megapixel camera with 10X digital zoom and five portrait lighting effects as the XS, the XS Max also tops out at 512GB of internal storage. The upgraded screen size and large memory make the XS Max the costliest of the iPhone X series. 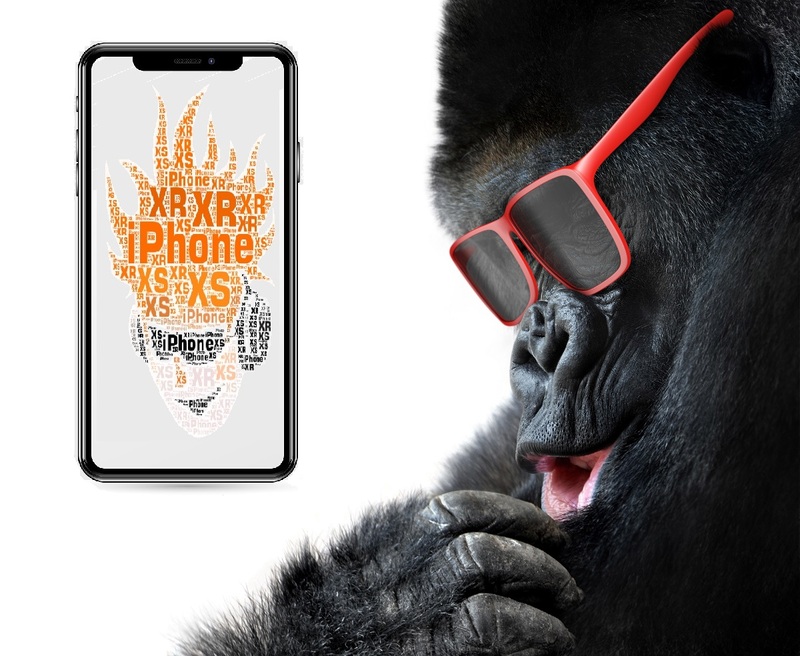 The iPhone XR offers many of the same features that iPhone users have come to expect from higher-end models, making it a bang for your buck at only $749 to $899 – a $100 savings over the starting range of other phones in the X series. While its sister releases can claim slightly upgraded cameras and storage capacity, the XR is the best introductory iPhone that Apple has ever produced. 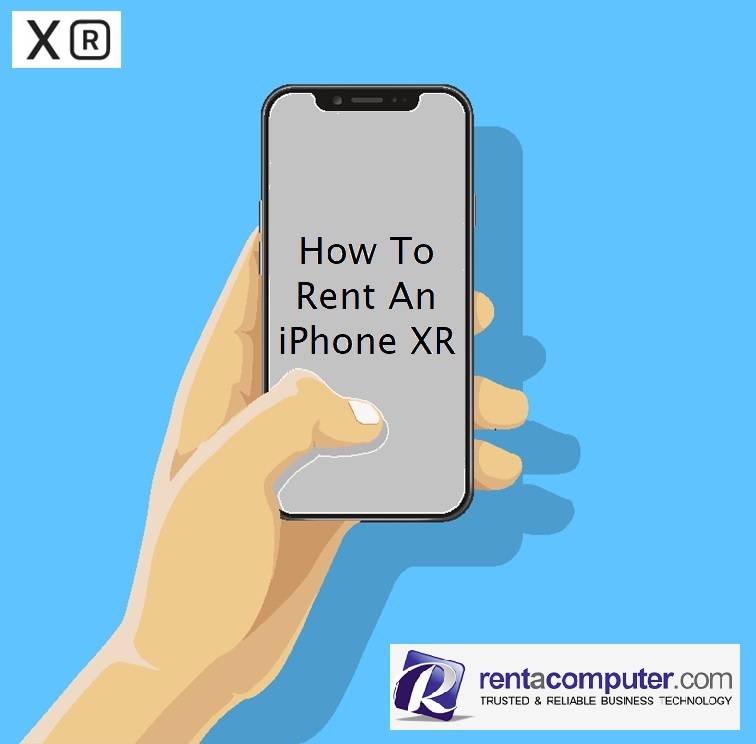 If you need a number of the latest iPhones, including the XR, XS and XS Max, for a business event or meeting, why not save money and try a rental? 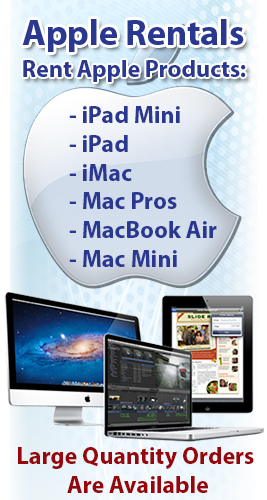 Our sister company, Rentacomputer.com, proudly provides a wide array of iPhone rentals and Android rentals to suit all of your smartphone rental needs. 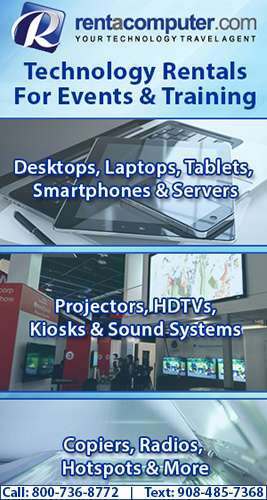 No matter where your event is, Rentacomputer.com can help. Get a quote for all your equipment needs today!